LONDON A year ago, Malala Yousafzai was a 15-year-old schoolgirl in northwest Pakistan, thinking about calculus and chemistry, Justin Bieber songs and "Twilight" movies. Today she's the world-famous survivor of a Taliban assassination attempt, an activist for girls' education -- and a contender to win the Nobel Peace Prize later this week. It's easy to forget she is still a teenager, and now a long way from home. Speaking to ABC News for an interview being broadcasted this week, Malala said girls in her part of Pakistan were, "starving for education." "For us, it's like a precious gift. It's like a diamond." In a separate interview with the BBC, Malala said the Taliban had attacked her because they "were afraid of the power of education, that's why they stopped us from going to school." Taliban urges Malala to "use your pen for Islam"
Into this valley, in the years after 9/11 and the U.S.-led invasion of Afghanistan, came the Islamic fundamentalist Taliban. The book describes their arrival - preaching against girls' education, shutting down DVD sellers and barber shops and displaying the bodies of people they've executed. They blew up the region's ancient Buddha statues, and then they began blowing up schools. "They destroyed everything old and brought nothing new," Malala writes. Malala considers herself a believing Muslim and a proud member of the Pashtun ethnic group, but recounts how from an early age she questioned her culture's attitude toward women. "When I was born, people in our village commiserated with my mother and nobody congratulated my father," she writes. Her father felt differently. The book recounts her debt to Ziauddin Yousafzai, an educator who founded the school Malala attended and kept it open to girls in the face of pressure and threats. He passed on to his daughter a hunger for knowledge and a questioning spirit. At 11, she began giving TV interviews in Pakistan about girls' education. In 2009, she started writing a blog for the BBC Urdu service under a pseudonym. She soon became well known within Pakistan - and therefore a potential Taliban target. But she was reassured by the thought: "Even the Taliban don't kill children." That optimism proved misplaced, but - miraculously, it seemed to many - Malala survived the shooting. The final part of the book describes Malala's life from the moment she regained consciousness in a British hospital, where she had been flown for specialist treatment, with the thought: "Thank God I'm not dead." In the hospital she enjoys the "Shrek" movies, but is shocked by the scene in "Bend it Like Beckham" when the female soccer players take off their jerseys to reveal sports bras. She reads "The Wonderful Wizard of Oz" - sent to her by former British Prime Minister Gordon Brown - and identifies with Dorothy, trying to get home. Malala goes to school in England now, and lives with her family in a house behind a big gate in the city of Birmingham. It reminds her a bit of being under house arrest. 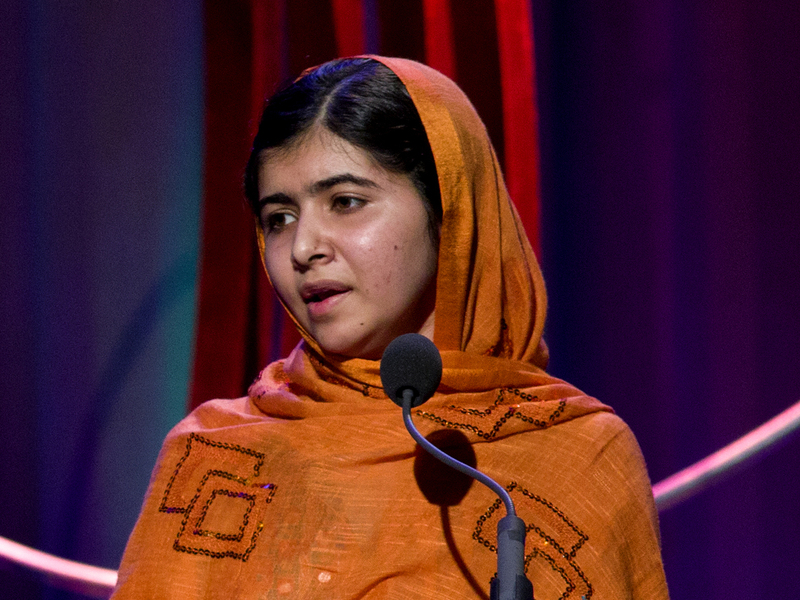 The Malala Fund set up in her name campaigns for girls' education around the world. She has received multiple awards and addressed the United Nations on her 16th birthday. Later this month she is due to meet Queen Elizabeth II at Buckingham Palace. She remains determined to return to Pakistan one day and enter politics. And she says the Taliban's attempt to silence her has backfired spectacularly. "When I was shot they thought the people would be silenced, they thought that no one would talk," she told the BBC in a recent interview. "I think they might be repenting why they shot Malala."